Attention Schools! 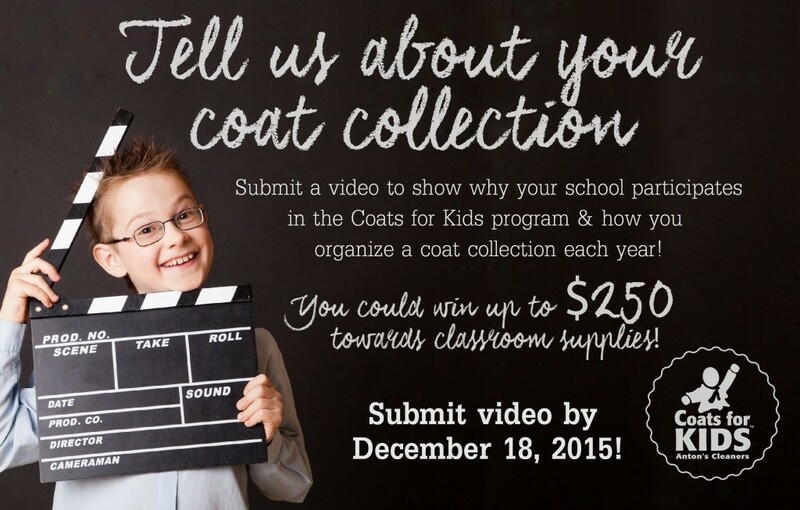 Coats for Kids Video Contest! We want to hear about your coat collection! Submit a video to show why your school participates in the Coats for Kids program and how you organize a coat collection each year in your school. You could win up to $250 towards classroom supplies for your school! Just submit your video entry no later then December 18, 2015 with the form below. All students are welcome to enter, including children in private, and charter schools. Only one entry per school will be accepted. 2 minutes (120 seconds) or less in length. For a full list of contest guidelines, please refer to our video contest terms and conditions by clicking here.